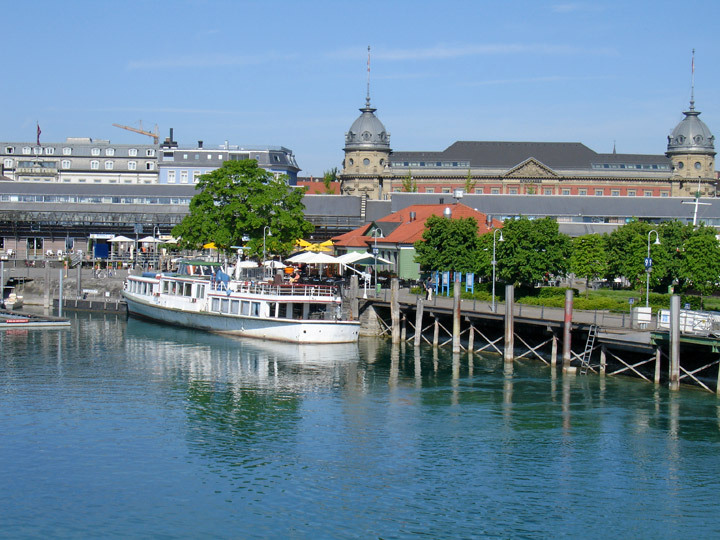 Konstanz (in English formerly known as Constance) is a university town of around 80,000 inhabitants at the western end of Lake Constance in the south-west corner of Germany, bordering Switzerland. 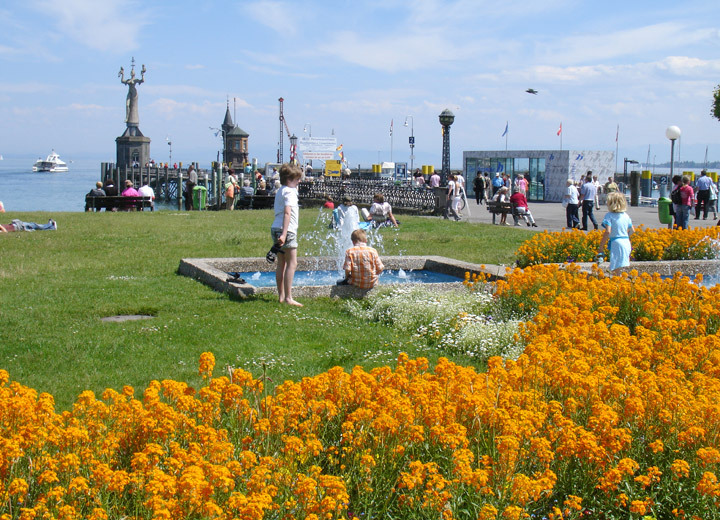 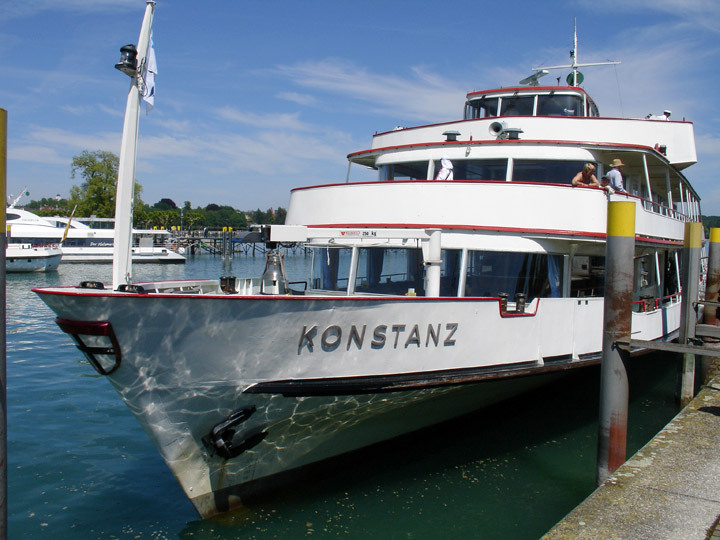 Konstanz is situated on the river Rhine which starts in the Swiss Alps and runs through Lake Constance, called "der Bodensee" in German, between the "Obersee" and the "Untersee". 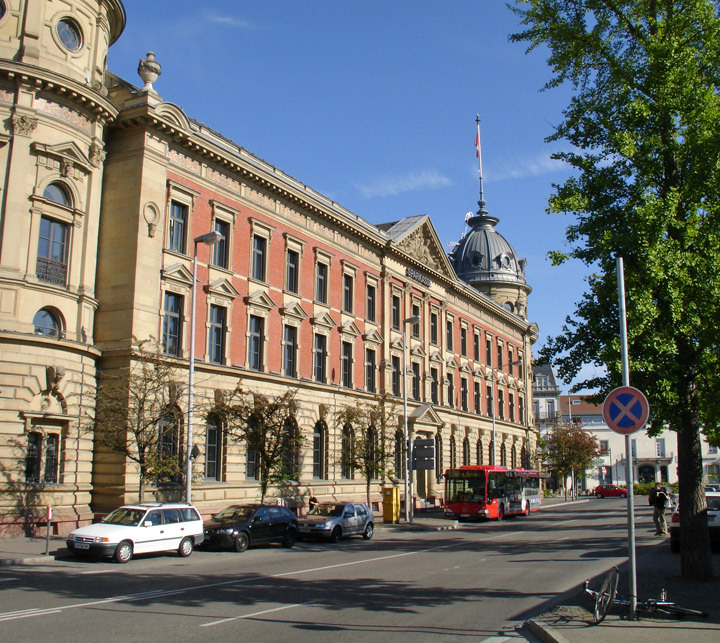 North of the river lies the larger part with residential areas and industrial estates; while south of the river is the old town which houses the administrative centre and shopping facilities. 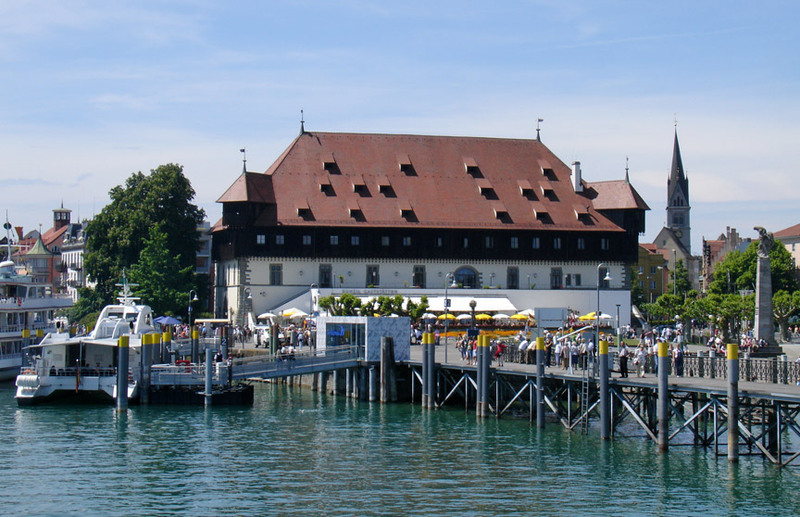 Car Ferries provide access across Lake Constance to Meersburg and Friedrichshafen. 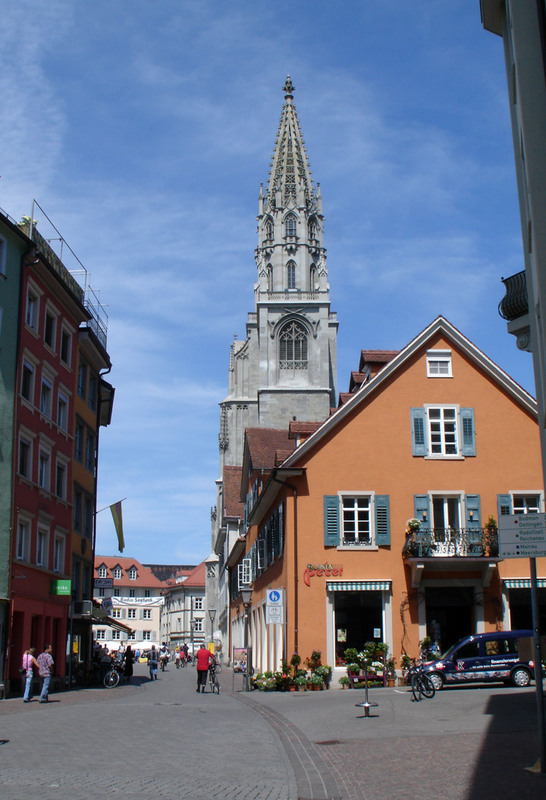 To the south, the old town merges into the Swiss town of Kreuzlingen. 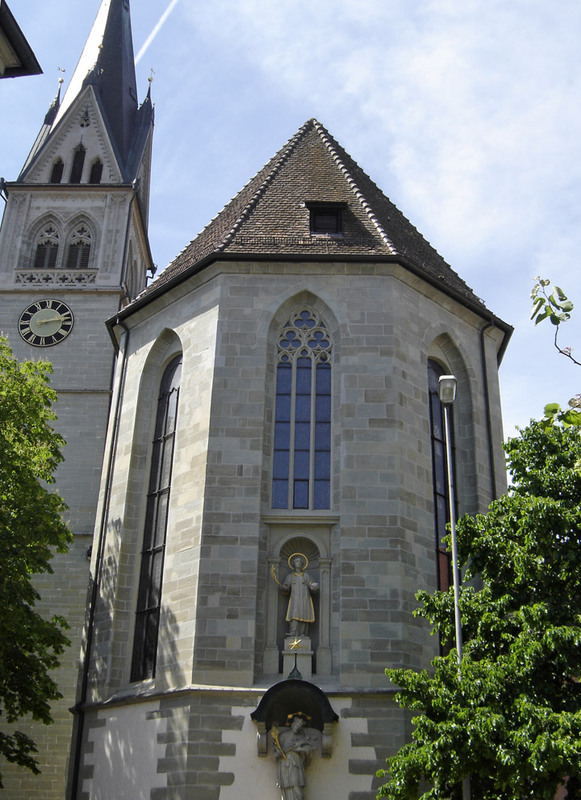 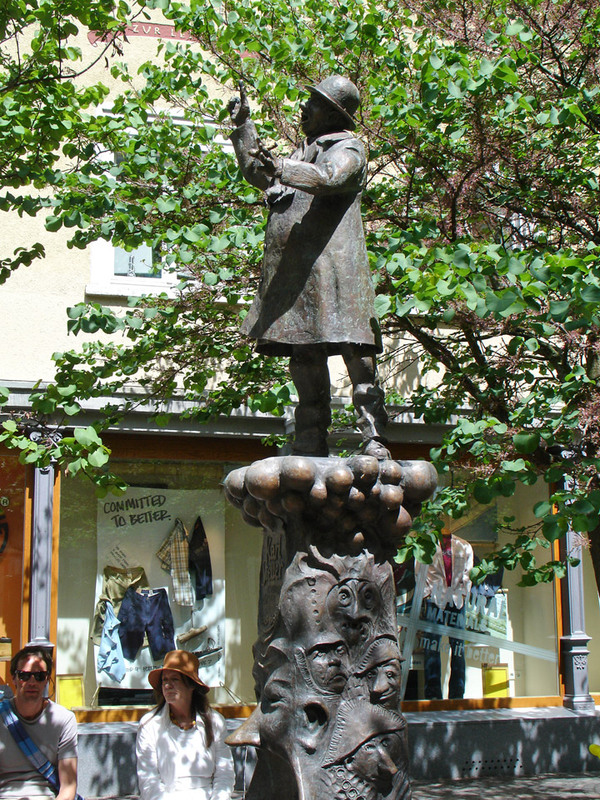 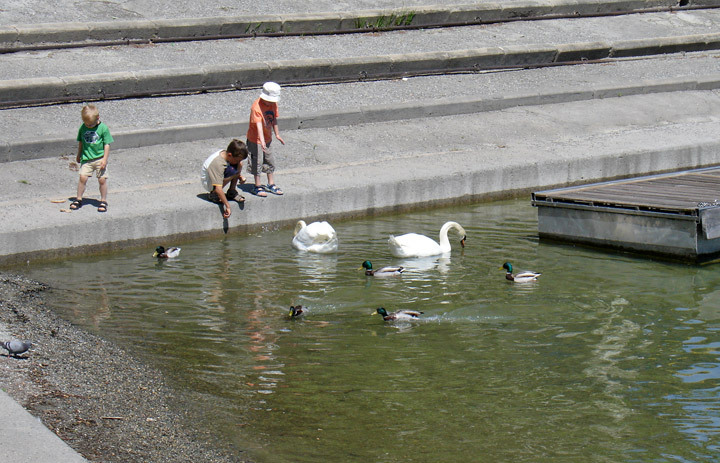 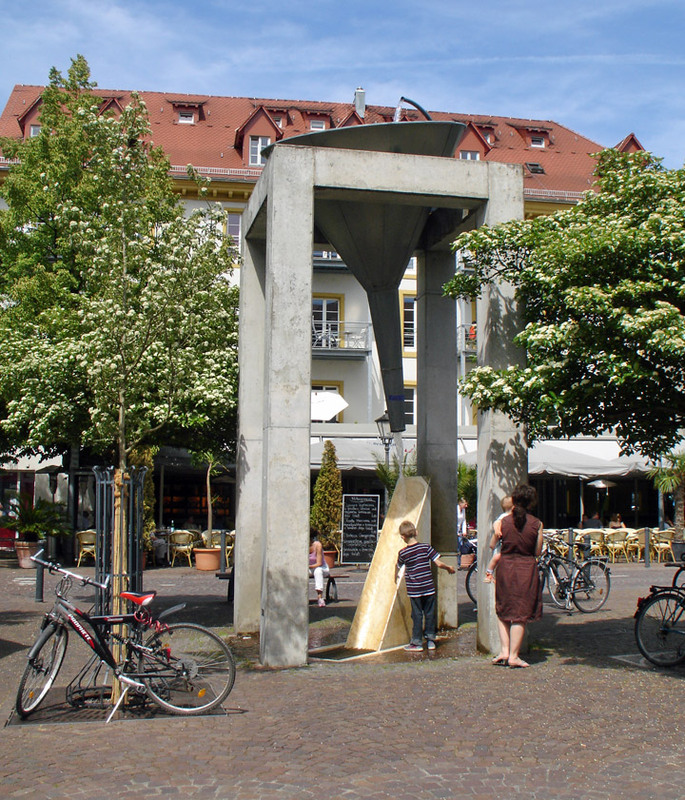 Because it practically lies within Switzerland, just one kilometer from the Swiss border, Konstanz was not bombed by the Allied Forces during World War II. 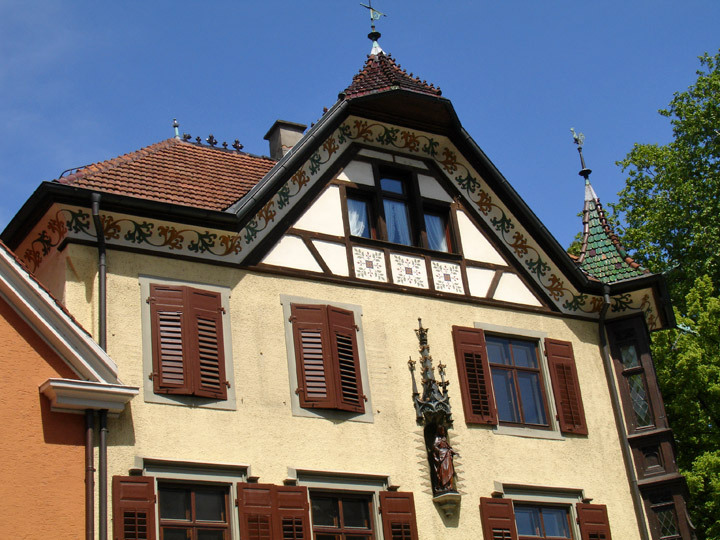 The city left all their lights on at night, and thus fooled the bombers into thinking it was actually Switzerland. 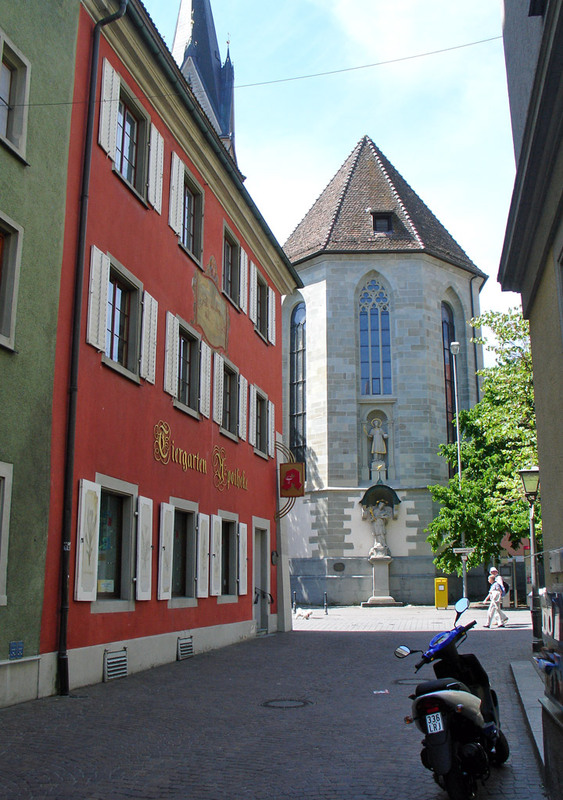 The Altstadt (Old Town), which is large considering the small size of modern Konstanz, has many old buildings and twisted alleys. 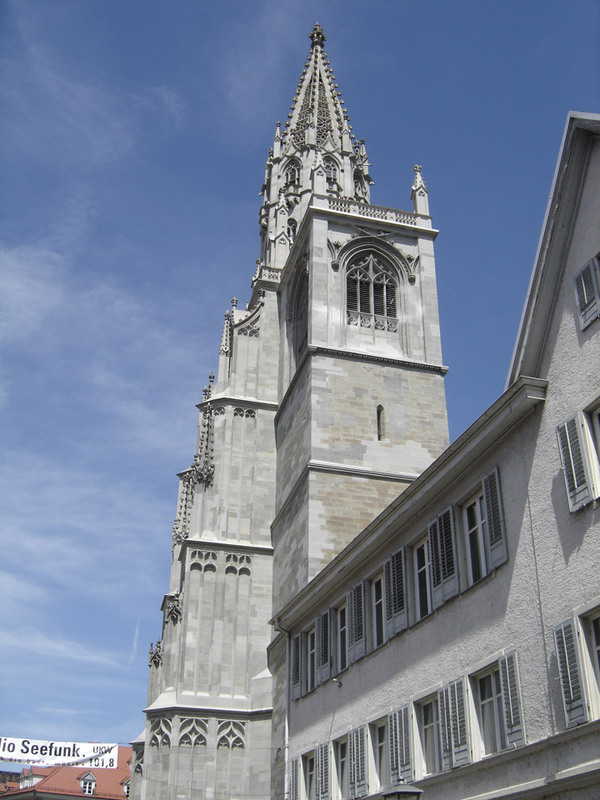 The city scene is marked by the majestic "Münster" Cathedral ("Münster Unserer Lieben Frau"), several other churches and three towers left over from the city wall, one of which marks the place of the former medieval bridge over the Rhine. 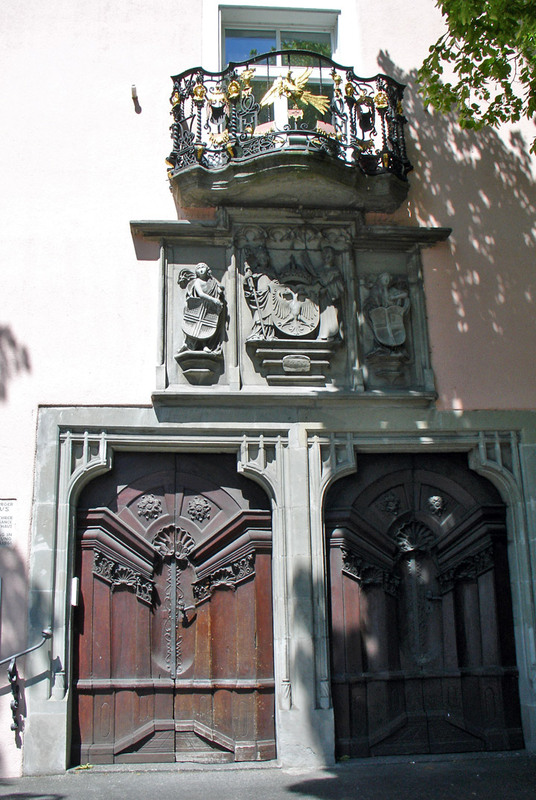 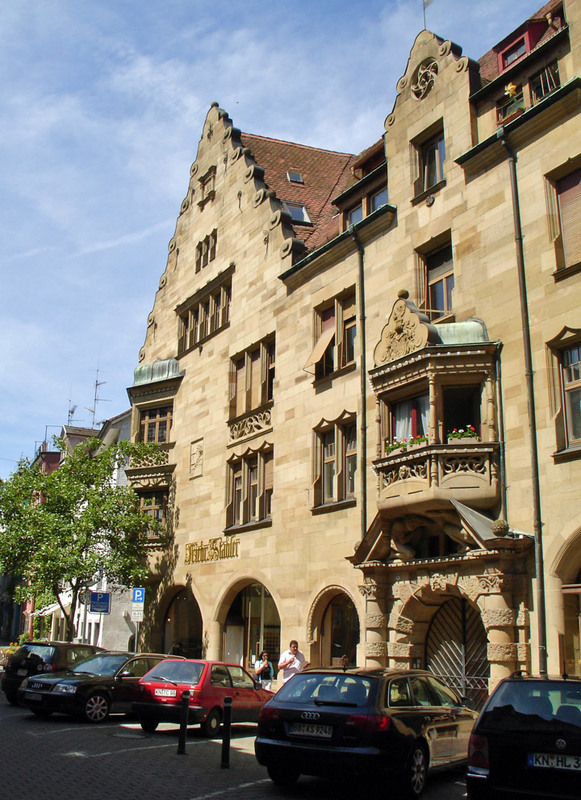 The University of Konstanz was established close to the town in 1966. 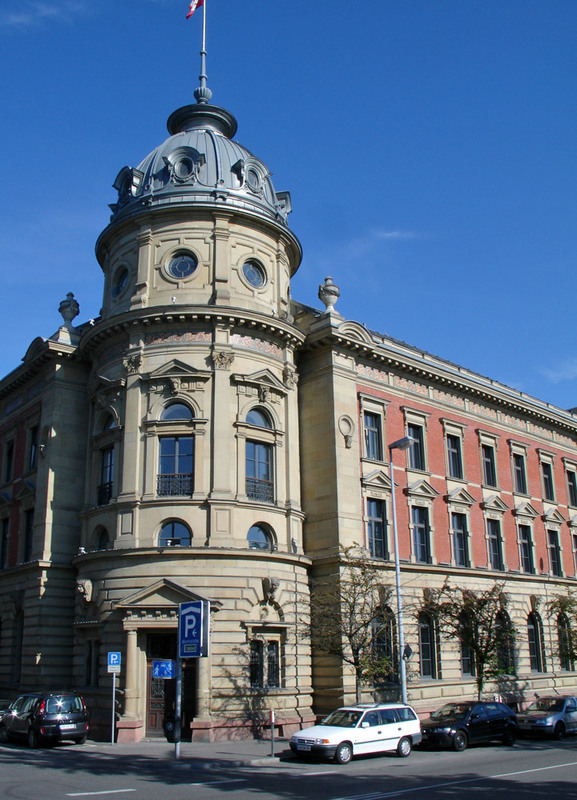 It houses an excellent library with approximately 2 million books, all freely accessible 24 hours a day. 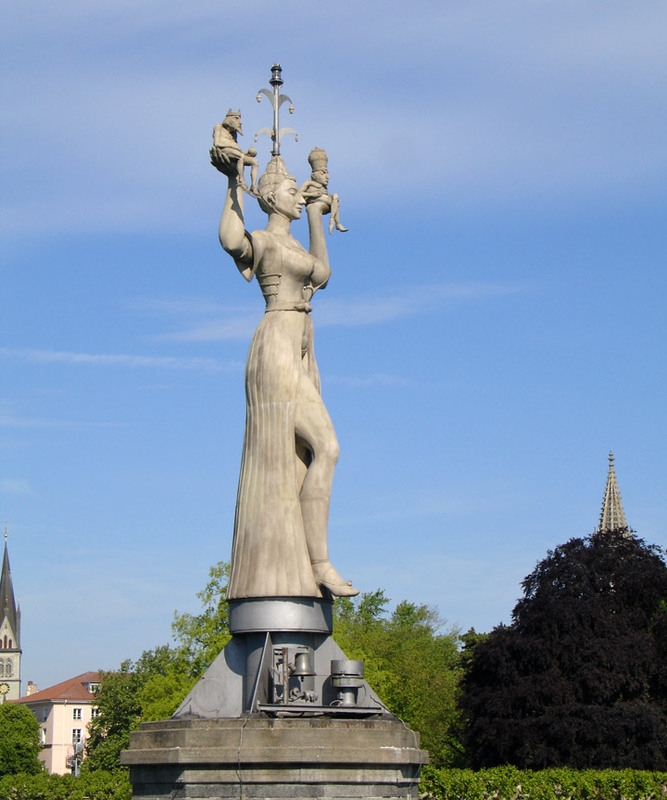 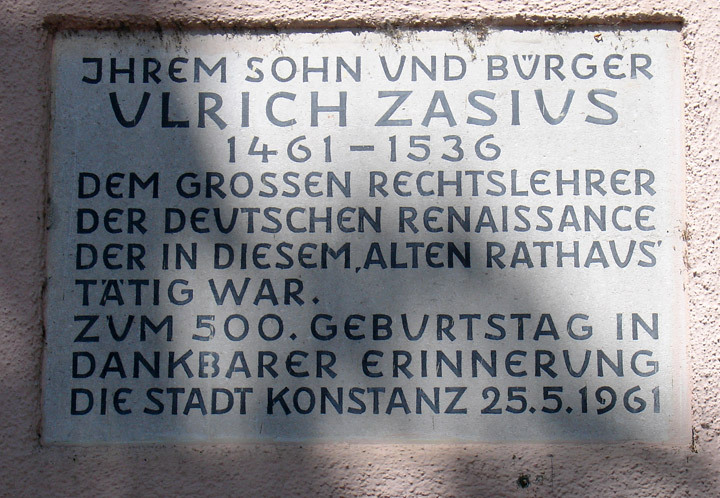 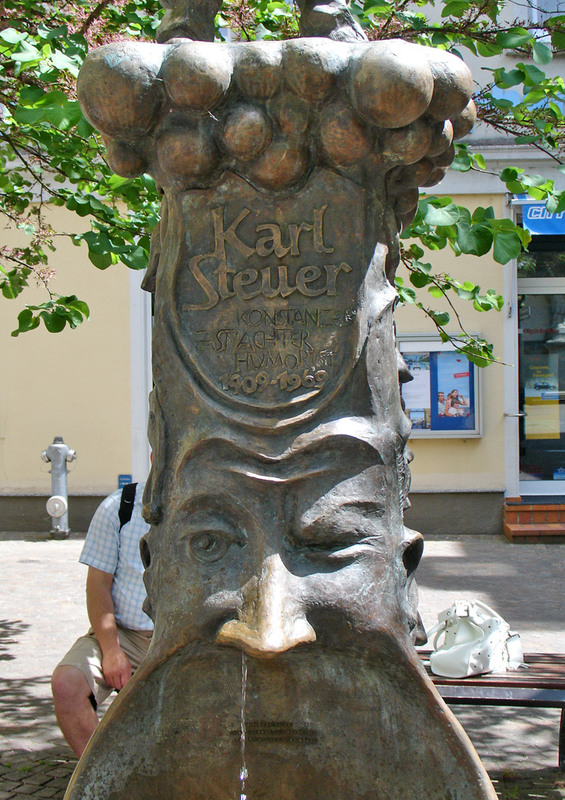 Konstanz was the birthplace of Count Ferdinand von Zeppelin, constructor of the famous Zeppelin airships.